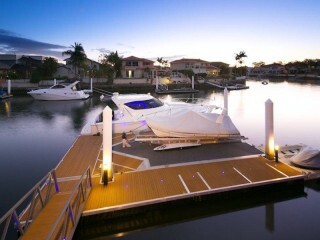 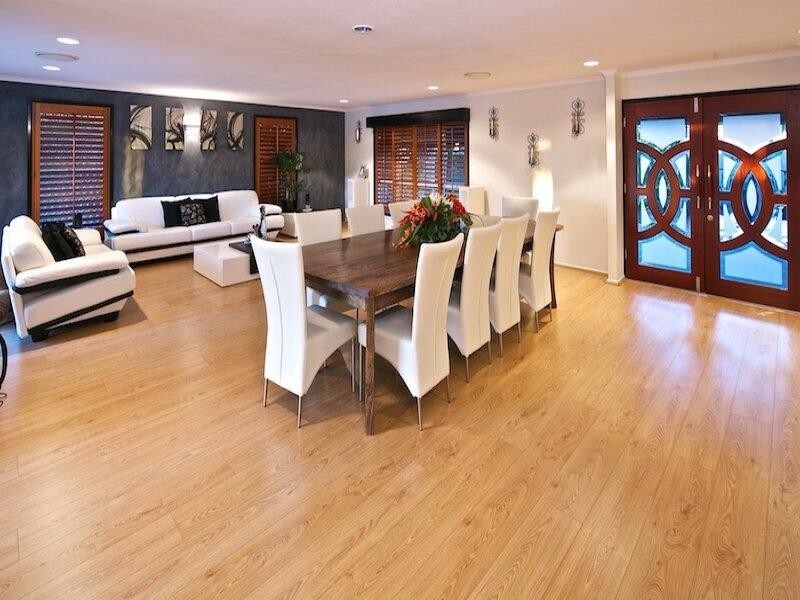 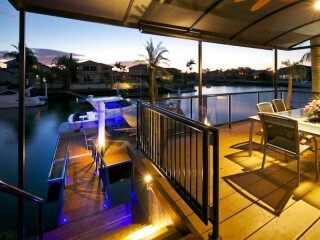 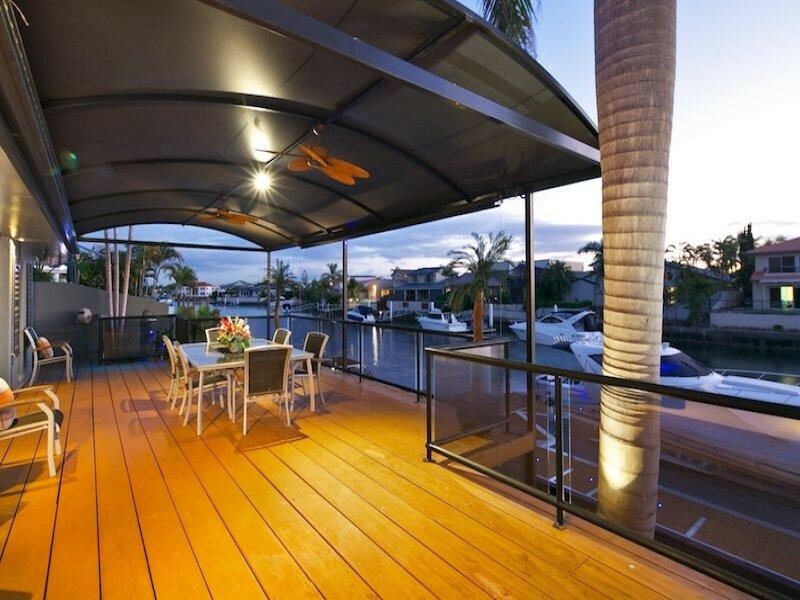 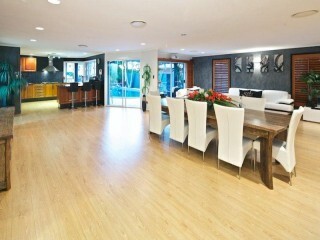 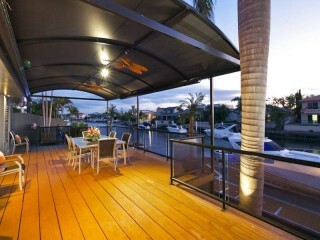 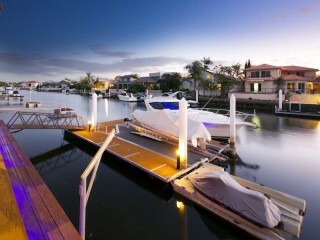 This spacious property is a Boatie's and Entertainers delight. Luxury waterfront living at its best. 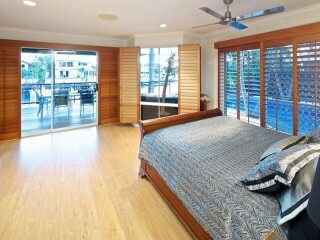 Situated on the much sought after Runaway Bay islands. 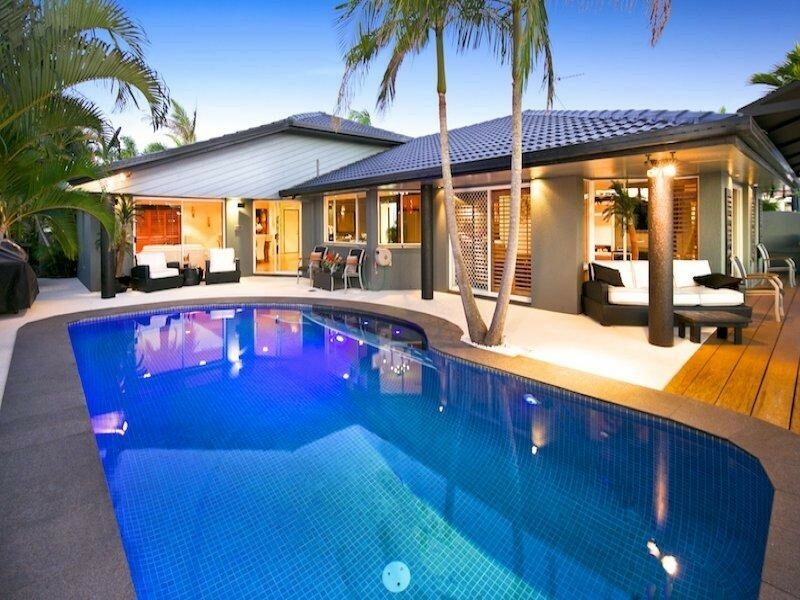 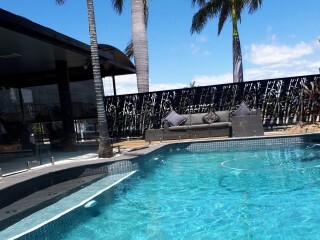 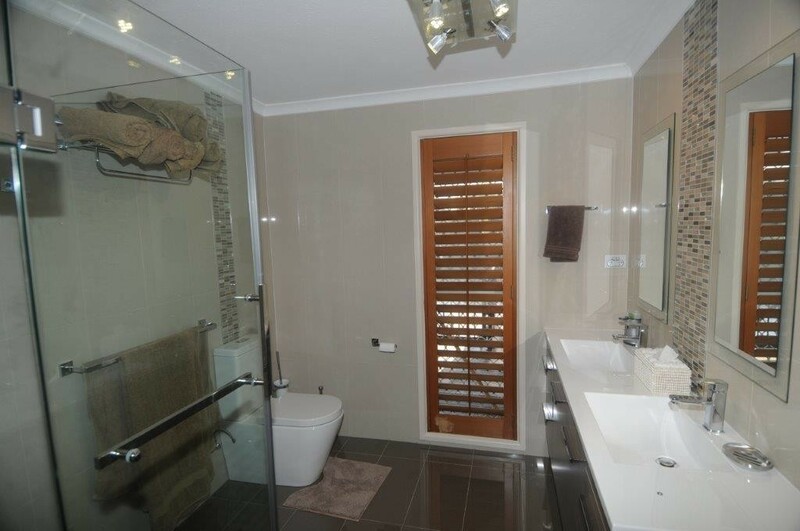 This home is one level, open plan with huge lounge and dining area, timber floors, large master suite, large walk in robe and ensuite with 2 additional double bedrooms with built in robes and ceiling fans. 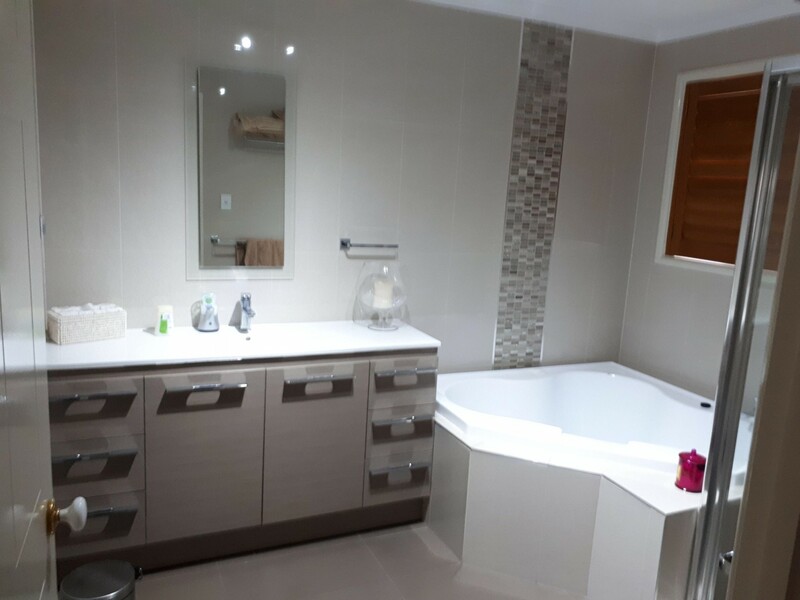 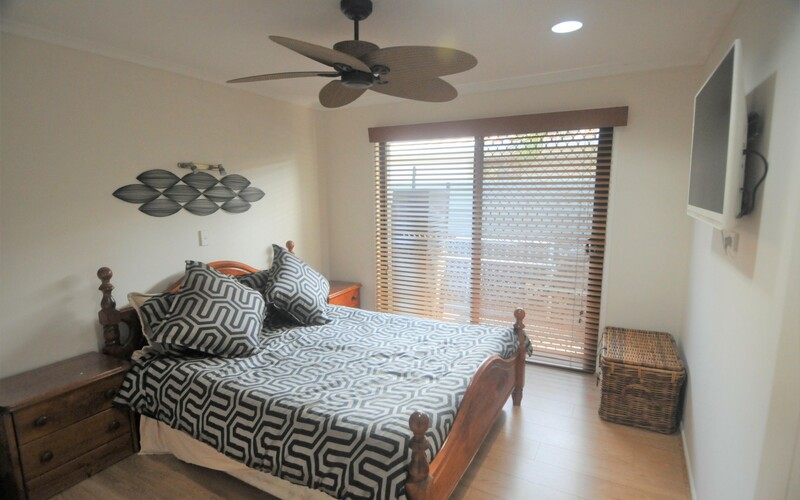 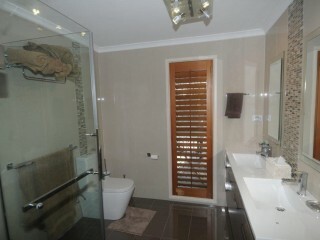 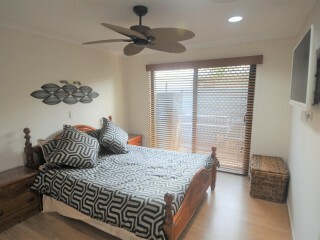 The ensuite, bathroom, toilet and laundry are recently renovated. Complete with recently installed zoned ducted air conditioning, solid timber kitchen, massive outdoor entertainment area with a frameless glass fenced private fully tiled pool, wide water views, with 18m of water frontage the pontoon is 12m x 7.25m with power, water, super fender and electric winch on its own 9m slipway. 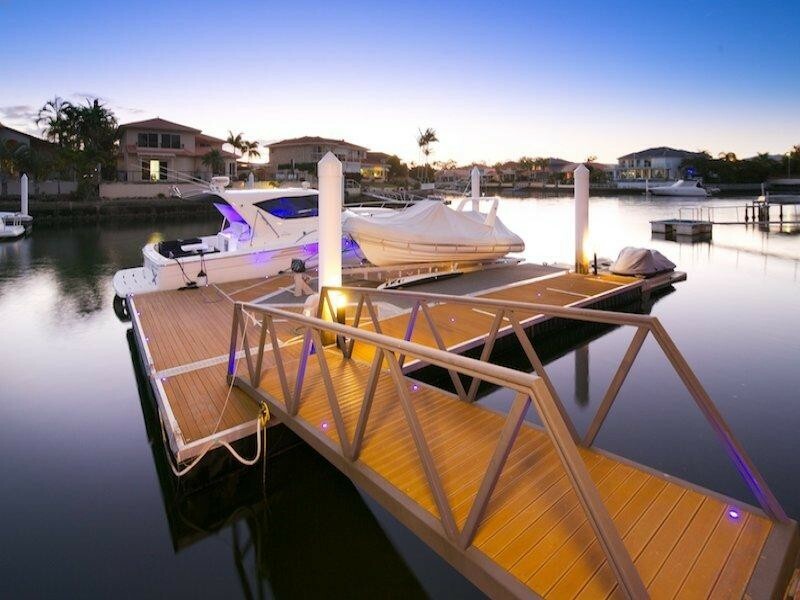 Extra storage under rear deck for all your boating accessories. 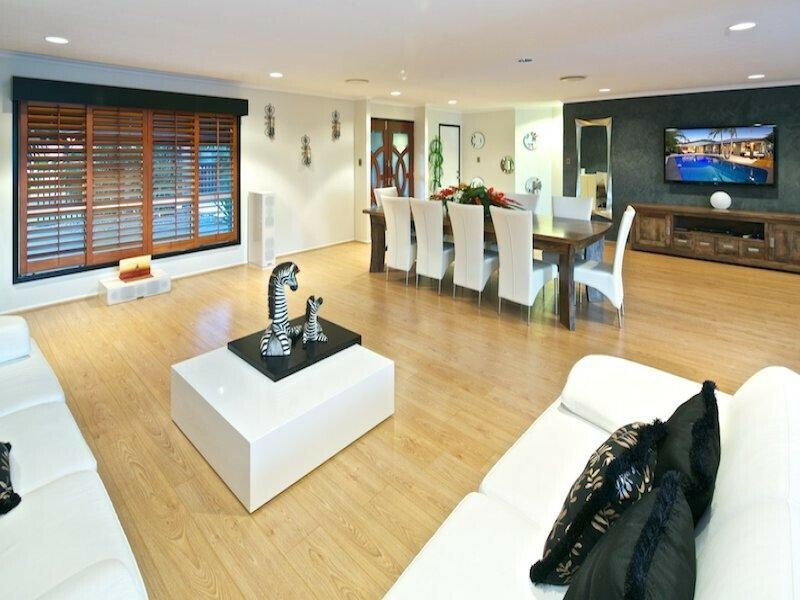 Double lock up garage with plenty of storage, low maintenance yard and electric front gate. 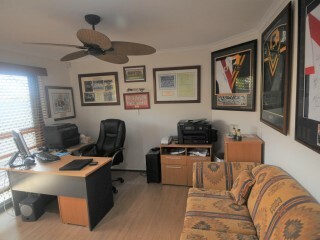 The property has a "Back to Base" alarm system and a 5 camera security CCTV system. 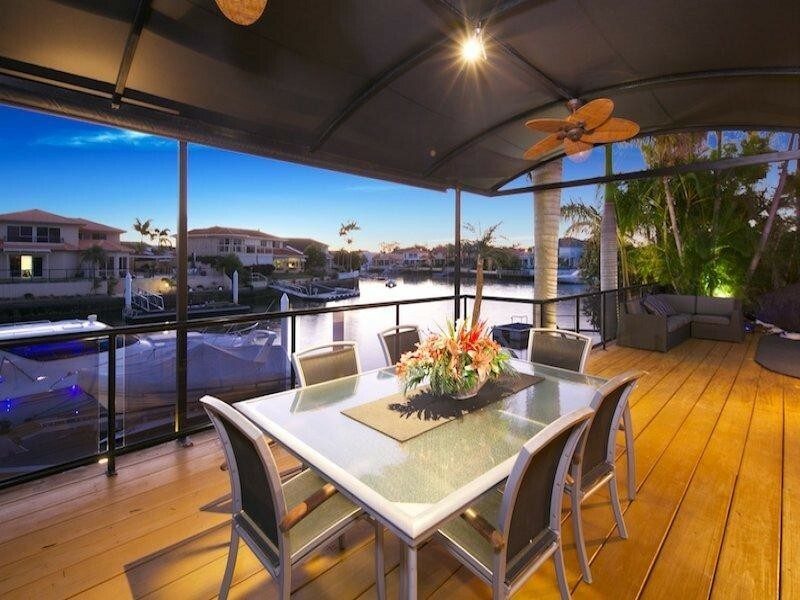 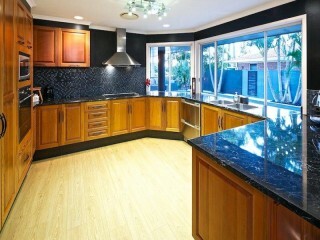 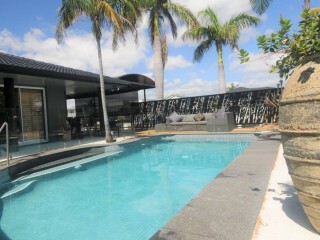 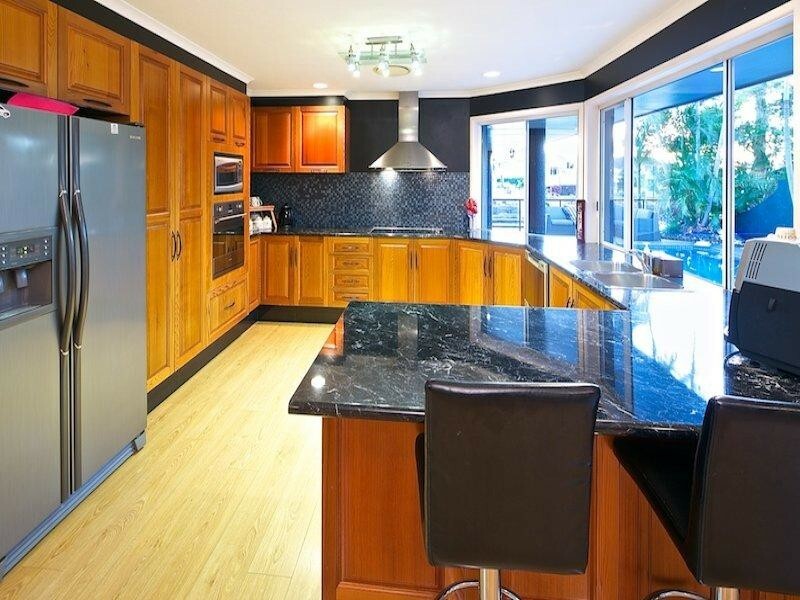 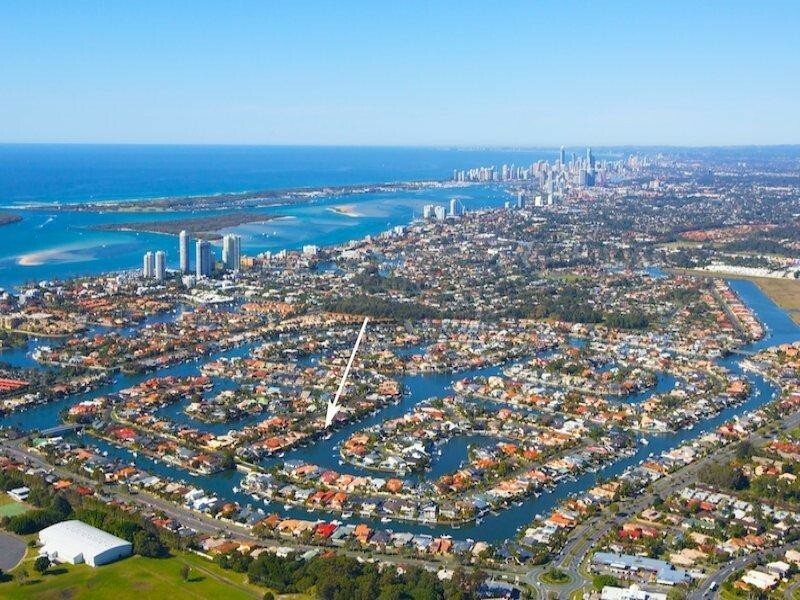 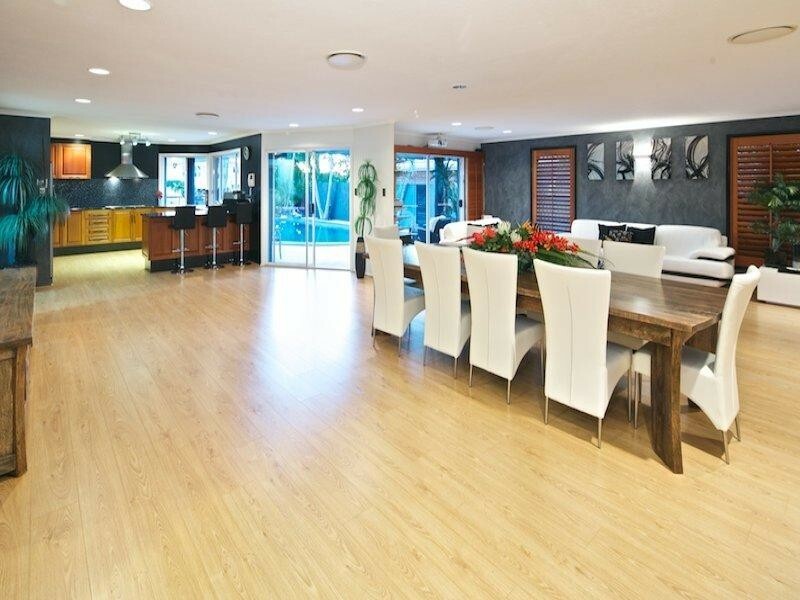 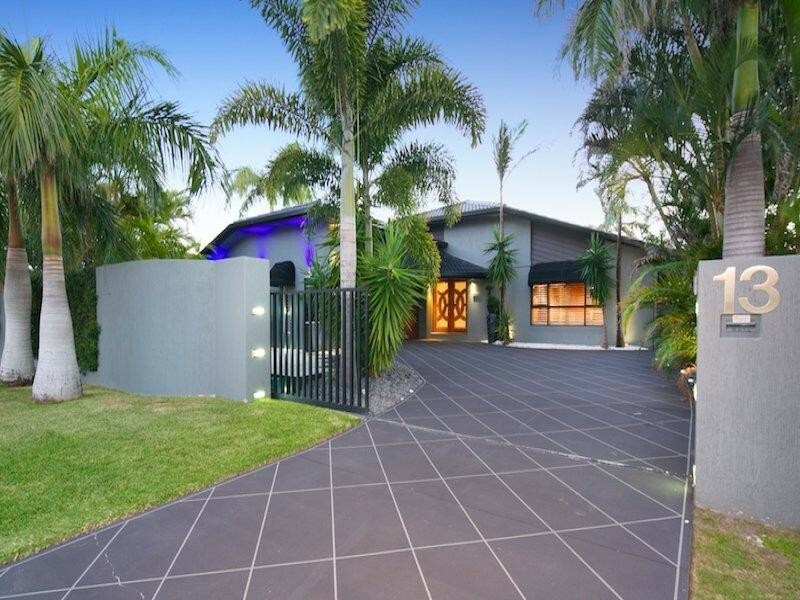 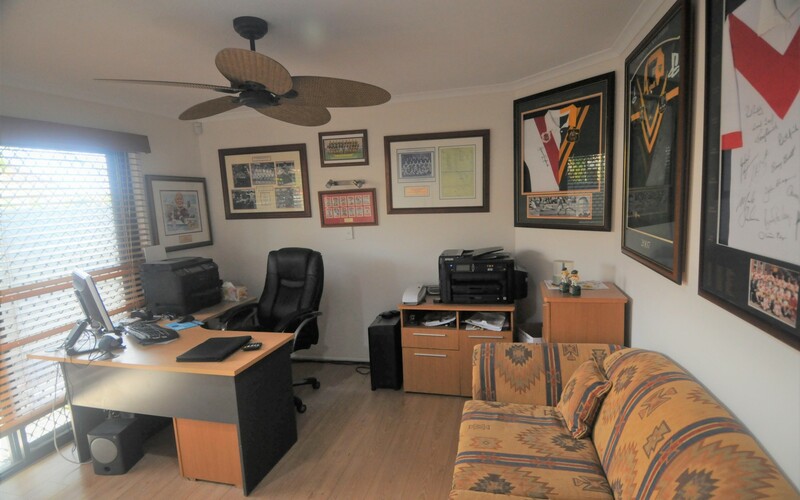 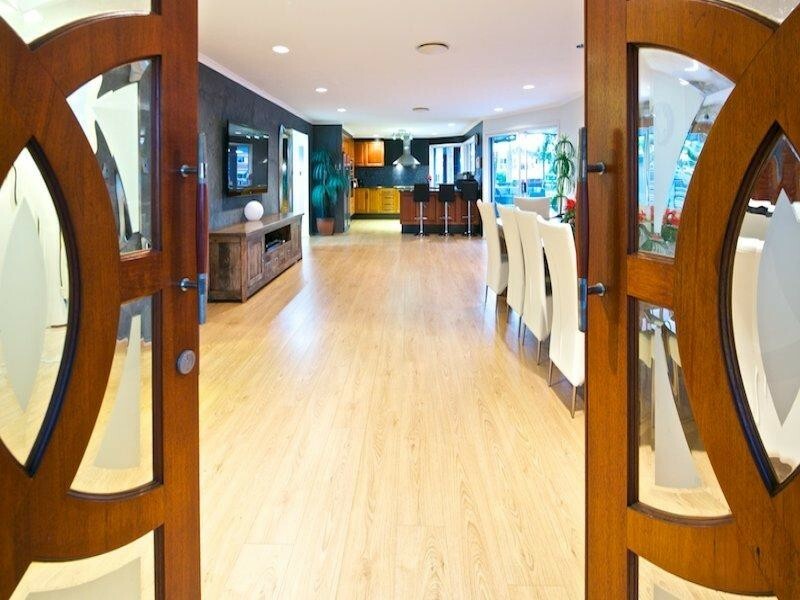 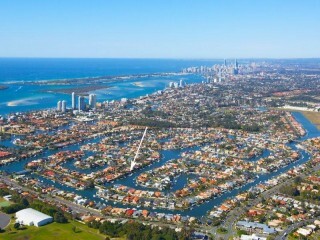 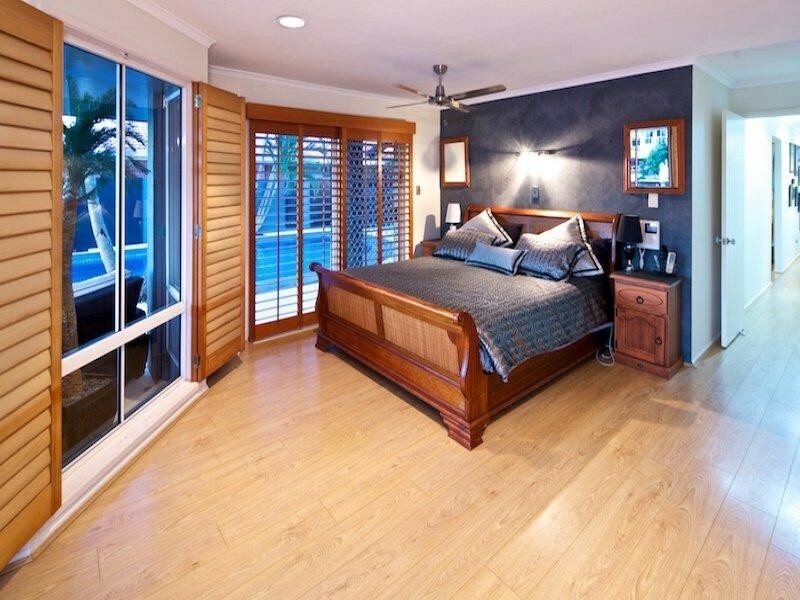 Close to major shopping centres, restaurants, schools and the Broadwater. 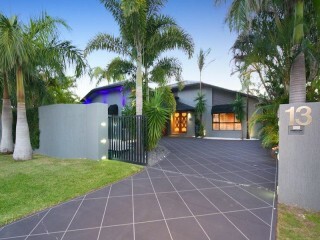 Someone will love to call this house home. 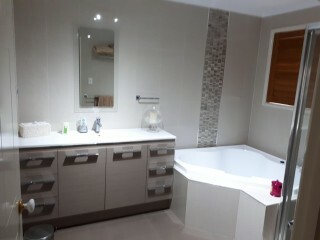 You will be impressed!